Are you aware of someone within your agency, a board member, a volunteer, a legislator, organization or local leader who has made a meaningful difference in helping your agency achieve success? 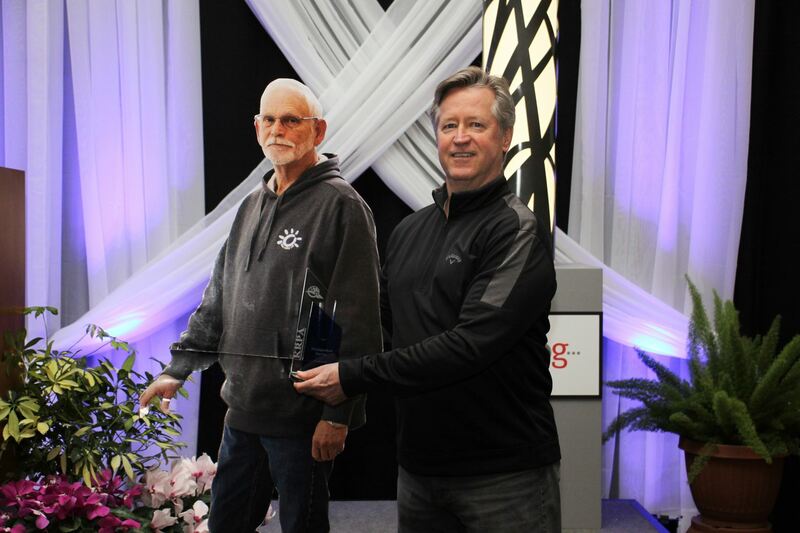 Please take this opportunity to pay tribute and honor individuals who are important to your success stories by nominating them to be honored at the KRPA Awards of Excellence Lunch during the annual KRPA Conference and Trade Show. 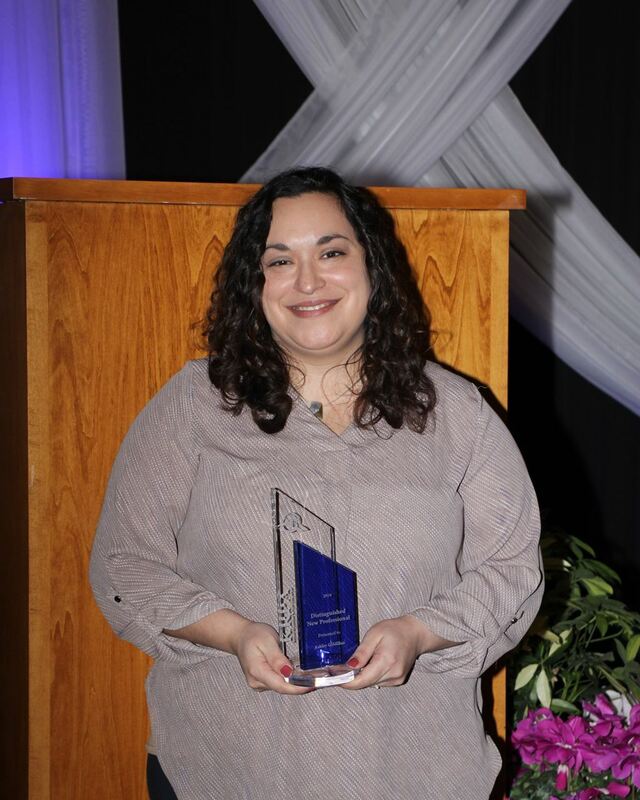 Annual Award Nominations forms will be available in the fall of 2019. 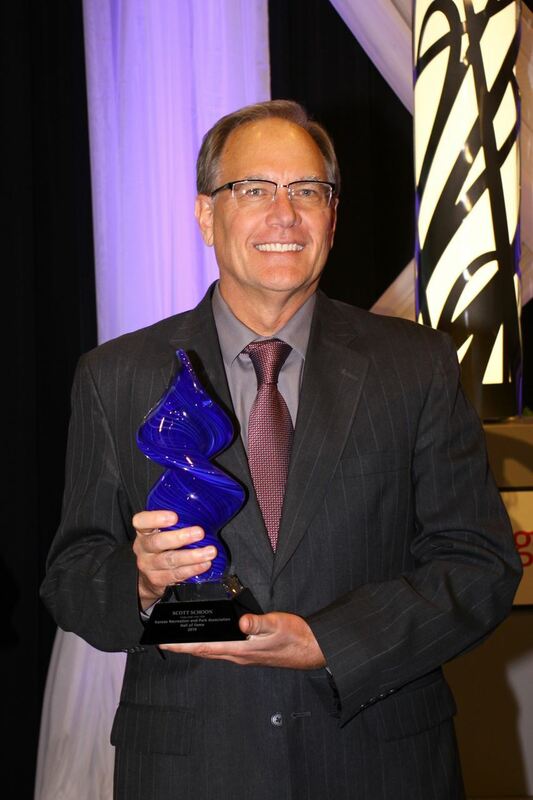 This award recognizes a professional KRPA member who has rendered outstanding service to the organization and the profession on the local, state or national level. This award shall be limited to those persons having served a minimum of fifteen years of service as a full time employee in the recreation and park field. This award may be given posthumously. 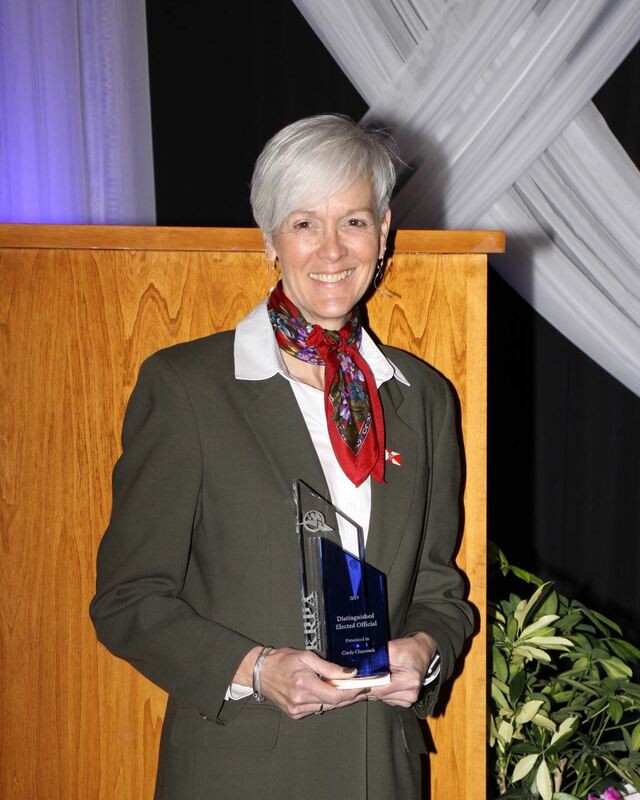 This award recognized a professional KRPA member who has rendered outstanding service to the organization and the profession, local or state. This award shall be limited to those persons having served a minimum of ten years as a full-time employee in the recreation and park field. 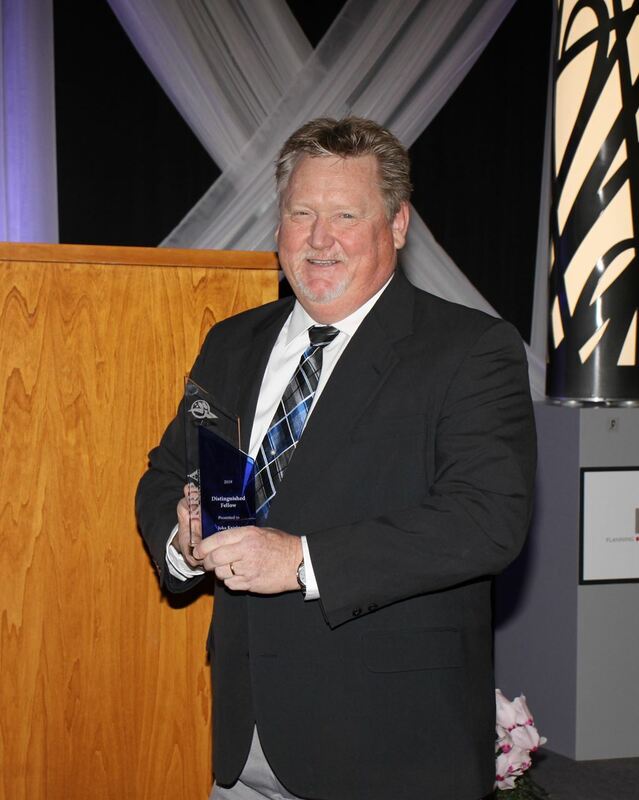 This award recognizes a KRPA member who has rendered outstanding service to any phase of the recreation and park profession on a local or state level. This award shall be limited to those persons having served at least three years but not more than ten years as a full-time employee in the recreation and park field. 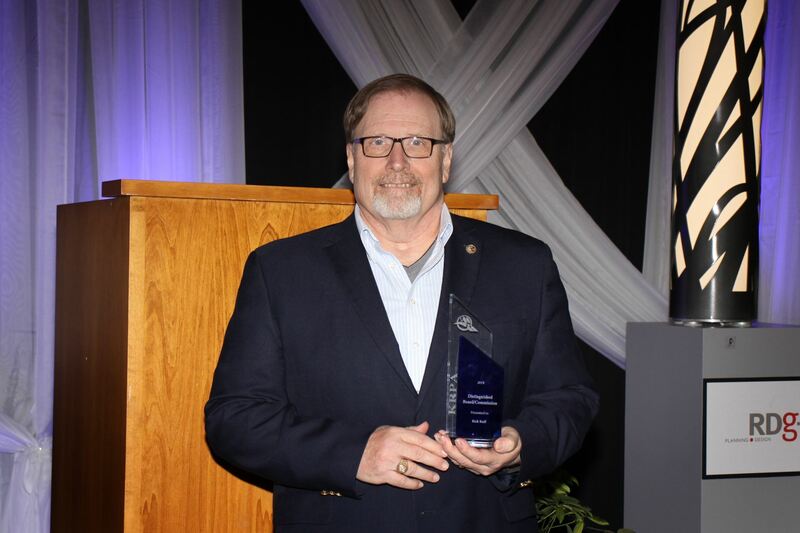 This award recognizes a person who volunteers time for their services to the recreation, park or conservation initiatives and who has rendered distinguished service to the organization and the recreation and park profession. This award recognizes any full-time or part-time employee in the recreation and park field who has made a difference to the community or organization. 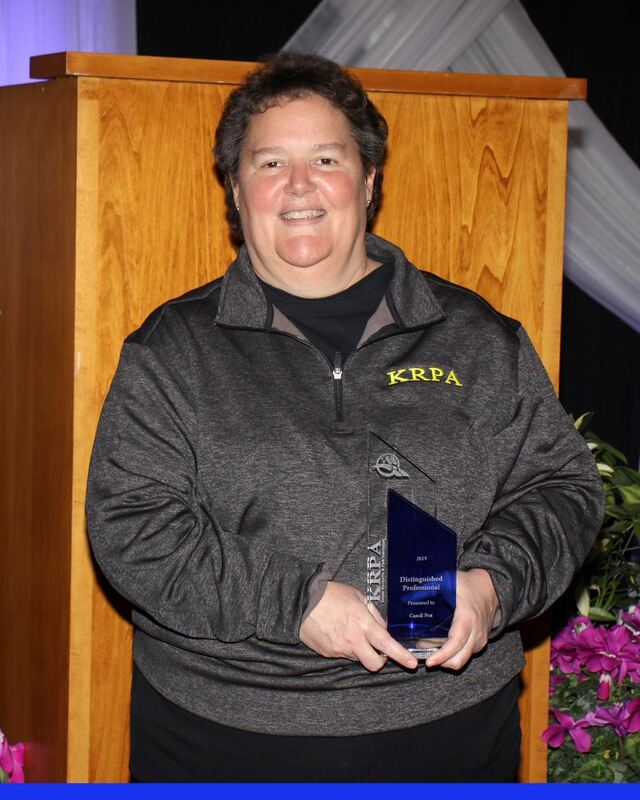 Recipients need not be KRPA members and it is the intent of this award to recognize dedicated employees in such areas as maintenance, clerical and programming positions. This award shall be limited to those persons having served a minimum of two years as a full-time or part-time employee in the recreation and park field. This award recognizes an organization, which has provided outstanding service to any recreation, park and conservation initiatives at the local or state level. An organization is defined to include civic and fraternal groups as well as businesses, corporations, and other organizations not directly associated with the recreation and park profession. This definition does not exclude businesses dealing in services or products, which are recreation and park oriented. 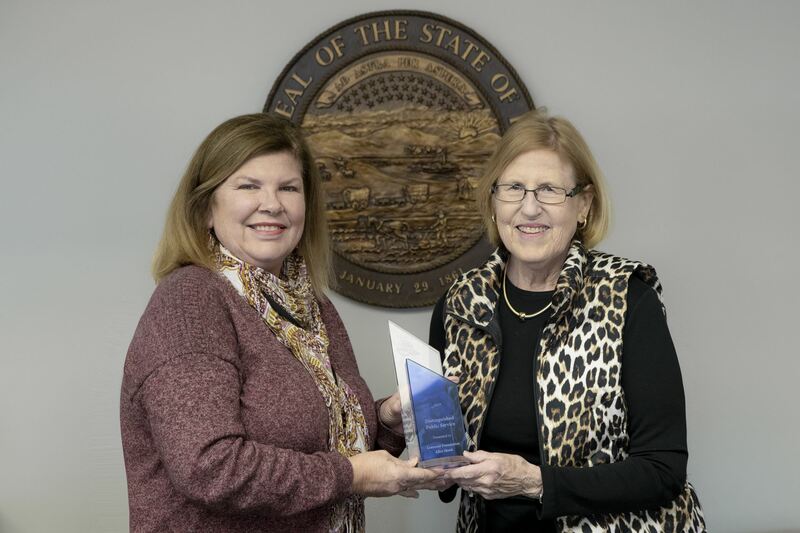 This award recognizes an elected official at any government level, including local, state or federal, who has rendered service to any phase of the recreation and park initiative at a local, state and/or national level.